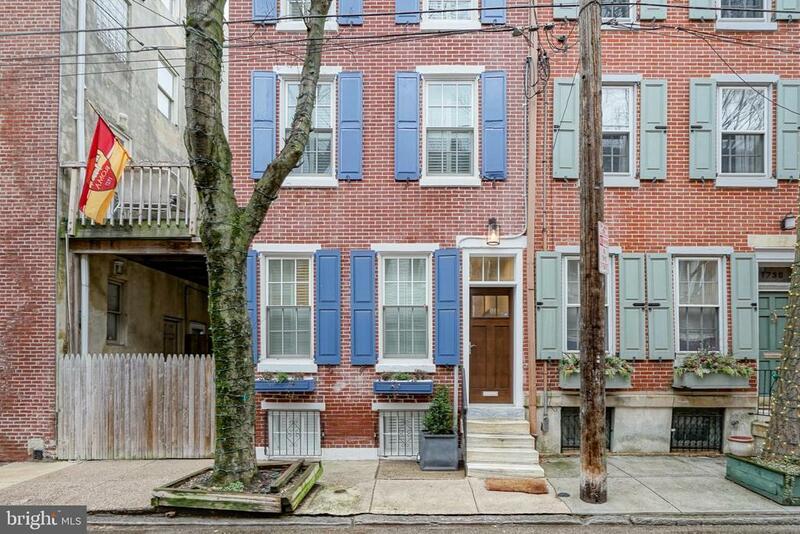 Fantastic opportunity to own an amazing 3 bed, 2.5 bath home in Rittenhouse Square with PARKING. Meticulously renovated for private use, this house has it all. Enter into the well-appointed living room filled with an abundance of natural light, hardwood floors, gas fireplace with marble mantle, custom built-ins and recessed lighting. The kitchen boasts stainless steel appliances, beautiful cabinetry, wine refrigerator and pendant lights. Upstairs you will find two good-sized bedrooms with ample closet space, full tiled bathroom and vanity, and laundry closet. Continue to the third floor to the magnificent master bedroom with custom closets, soaring ceiling and en-suite bath with double shower, marble vanity, tiled floor and clear shower door. The house is complete with a fully finished basement with custom built-ins, gas fireplace, powder room and room for a small office space. Upgrades include, but arent limited to, a reinforced foundation, new electric panel and service, reinforced deck, new marble block front steps, a Humidex ventilation unit in the basement, and plantation shutters throughout. Steps from Rittenhouse Square, this home is close to some of the best restaurants and parks the city has to offer with easy access to highways and public transportation.